. . . the answers are based on our 25+ years of Time Share ownership and exchanges in both the RCI and II membership networks. Includes some Vacation Time Share Exchanging & Rental Tips + Info on discounted purchase of resale Time Shares by Owner. Tip Don't overlook the often very affordable Vacation Rental option of a Time Share Condo Rental through the Time Share Resort. You do NOT have to be a timeshare owner to take advantage of these often very affordable condo rentals! We have found that Time Share Rentals are often much more affordable (aka. cheap) than a oceanfront Hotel or Motel, and you usually have much more room and access to some additional Resort Amenities and programs. Check out our Vacation Condo Rental pages with "Reviews" below when you are done with this page for rental options and Tips, with links to many resorts with vacation time share condo rentals available. 1. What are Time Shares? What are the types of Time Share Ownership? Deeded Vs Leased. Fixed Time Vs Floating Time? Vacation Clubs + RCI & II Time Share Exchanging Tips. 2. The BIG question -- Do Timeshares Really Save you Money on Vacations? With Virginia Beach Time shares Vacation Rental cost comparison. 1. What are Time Shares? - What are the types of Time Shares? - What do you really own? + "Fixed" Vs. "Floating" weeks & Vacation Clubs. A Time Share is a type of Fractional or "Interval" Ownership. The arrangement allows each individual Vacation interval Time Share owner to own a "Time Interval" in a much nicer Vacation property with many more amenities than likely would be possible if he/she had to own and maintain it entirely on their own -- such as is the case with a Beach Vacation Home - or even a Beach Vacation Condo where you are responsible for the Condo Association fees, insurance, and real estate taxes for the entire year, even tho you may only use the Condo a few weeks out of the year. The Time Share concept has now been applied to everything from Business Jets to Cruise Ships. Many major companies which operate Hotels and Resorts such as Marriott, Disney and Hilton have now gotten into the Resort Time Share business which has done much to "legitimize" the Timeshare business. The normal Vacation Time Share is an arrangement where many people share the ownership of a property - in this case an individual Condo in a Vacation Resort Apartment Complex. The use of the condo and the common Resort Property is divided into specific Time Periods - "Intervals" which are the Time Share weeks that are sold. In most Timeshares the "Intervals" are the individual "Weeks" in the Time share Calendar Year with Week 1 starting with the first Check-in day (eg. Sat.) in each calendar year and then numbering on up from there. You might think of it as taking a Condo Apartment Building with Common amenities such as a pool and excercise room. and then dividing each Individual Condo into 52 Time slices - each a week long. In the case of a resort with Saturday Check In, the first week in the Time Share Interval Calendar starts with the first Saturday in each Calendar year. "Deeded," Vs "Right to use" or "leased" plans. The two major types of Time Share ownership are "Deeded," sometimes call "Fee Simple" plans and "right to use" or "leased" plans. In a "deeded" interest type of time share you purchese an actual real estate fractional interest in a condo unit in the Florida - Virginia Beach Time Shares Resort complex. In a "Deeded" program, for example, if you purchase Week 23 in Unit 507, you get an actual Deed that is filed with the County Register of Deeds for a fractional real estate interest in Condo Unit 507 for Time share week 23. You have a say in the Time Share Owners Association management of the Resort Complex (Much like a Home Owners Association). You may sell and deed away your unit, or you may will it to your kids if you wish. If the Developer folds financially before the Complex is completed or sold out, you still own your Time share Week. "Deeded" interest types of Florida - Virginia Beach Time Shares are the most common, and tend to be a bit more expensive than "Right to Use" below. Most experts believe Deeded weeks are the best type of Time Share ownership. To be safe, get legal counsul for any type of Time Share purchase - especially purchase or sale of Time Shares by Owner. In a "Right to Use" or leased type of Time Share ownership, you do not own any real estate interest in the property. You instead own a "right to use" or "lease hold interest" in the property (Condo # 247, Week 41) say, for a specific period of time. At the end of that period of time, your Virginia Beach time shares interest reverts back to the Developer, or whomever the Developer may have sold it to by that time. You may have no say in the management of the Resort, and usually the Developer, or current owner of the property can raise the Management Fees with little input from the Time Share "right to use" owners. You may have limited resale rights, and since you do not hold title, if the Developer goes under financially, you may loose your entire investment in your unit. "Vacation Clubs" while slightly different, often have many of the characteristics of "Right to Use" ownership. If they say they are "deeded" read carefully to see if the deed is a fractional ownership in the Club's real properties, or simply a certificate of ownership in the Club which may be worthless if the Club folds financially. Many experts recommend against purchasing a Time share or interest in a Vacation Club which has "right to use" or "leased" type of ownership. Definately get legal counsul if you are considering this type of purchase. "Fixed" Vs. "Floating" weeks. In a Fixed Week timeshare you buy the same week in the same condo unit each year - eg. Week 34 in Unit 503. Because they are defined, they are also easier to exchange. Fixed weeks are good for Families who know they can always get off from work or travel at specific dates each year. In a Floating Week type of time share, you purchase a week which is in a range of weeks each year. This period is often called the "Float" or "Flex" period. This is good for people who may not be able to get away from work at specific dates each year, however it usually requires that you call the resort during a certain time period to obtain your exact week assignment for that year. Many times all of the Units in the week you request will already be taken by other "Floating week" Owners so you will have to take a second or 3rd choice week - so call early if possible! Also, many floating time week Resorts will require you to prepay your Association Maintenance Fees for the year to confirm your request for a week either to use or for an exchange. Floating time is a bit more "complicated," but is a good option for those who need more flexability in their Florida or Virginia Beach time shares. Tip If you are interested in purchasing a discounted resale vacation time share, definately check out the MANY resale time shares by owner that are available, often for 10 to 20 cents on the dollar as compared to purchasing one new from a Resort. These time shares by owner resales are often available from people who have purchased a timeshare week from a Resort on-site sales pitch, and then have found they cannot actually vacation every year and USE their resort time share vacation week to justify the annual time share condo maintenance fees that are due regardless. See more on our new Resale Time Shares by Owner page. Be sure and read Question 2 below on the cost comparison between owning a time share vacation week and renting a vacation condo whenever you want to go on a vacation. It is highly recommended you get legal counsel and use a 3rd party escrow whenever doing a resale by owner time shares purchase or sale transaction - online or otherwise. To Question 2. Do Time Shares Really Save you Money on Vacations? Cost Comparison: Time Share Exchanging & Ownership Vs Vacation Rentals. Virginia Beach time shares cost example. Discounted Timeshare Vacation Promotions - Links to Vacation Getaway Discounts & Deals -- even some free timeshare vacation Getaways! To Resort Condominium International (RCI) Resort Directory Search page - RCI has over 3,000 Time Share Resorts to choose from. Can search for US or overseas Timeshare Resorts in a general or specific area - even Cruises. To Interval International (II) Resort Directory Search page - also many Time Share Resorts to choose from. Can search for US or overseas Timeshare Resorts in a general or specific area. Timeshare User's Group (TUG) started in 1993 is a self-help organization composed of time share owners and other interested parties. Comprehensive TUG Web Site is maintained by Volunteers. TUG provides time share owners with an source of consumer oriented information regarding time share resorts and the timeshare concept. Much useful Free Information on Florida & Virginia Beach Time Shares + time shares in all states. Can View Classified Ads of all states including Florida and Virginia Beach time shares for Rent and Sale without paying Membership Fee (TUG did not exist yet when I tried to sell my 1-bedroom time share weeks). $15 to join ($10 per year renewal) gets TUG member access to comprehensive Timeshare Resort Member Reviews Database including Historical Sales Info plus Permanent Swap Database and other helpful Member-only features. We appreciate your Web Site suggestions or comments on our Comments or "Your Top Picks" Page. If you have any Virginia Beach Time Shares Information or a Link you think would be appropriate for this page, please send it to us. Thanks. Favorite area Florida / Virginia Beach time shares and area attractions and Eastern Florida or Virginia Beach places of interest you found very interesting or memorable. Comments on great Florida / Virginia Beach Time shares Resort weeks (preferrably beach front) you may own, have exchanged to, or rented. 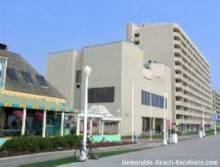 Local Points of interest, Attractions, and Virginia beach ocean front dining you have particularly enjoyed would also be of interest to all our "viewers." Attached Virginia Beach Time Share Resort or other Beach Vacation photos to go with the comments are always appreciated!!!!! Florida Vacation Beach Rentals Page - FL Ocean Front Cocoa Beach rentals and Satellite Beach Resort and Time Share Rental Reviews and Tips. Top Pick Virginia Vacation Guide Books: Southeast Virginia vacation beach Guides with Reviews and "Top Picks"
Home Page of Memorable-Beach-Vacations.com - Virginia Vacation Beaches & Family Attraction information + Family vacation beaches destinations and Tips. Virginia Beach Time Shares Info - Your US Beach Vacation Online Guide.